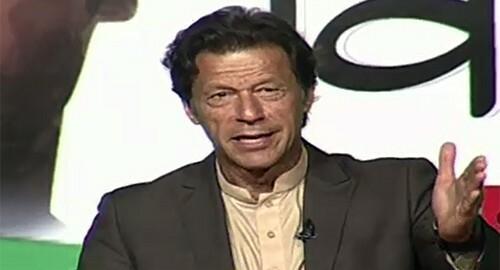 NEW DELHI (92 News) – Former cricket legend Imran Khan has declared the Indian team as favourites for today’s match. In an Indian TV show on Friday, he said that it would be difficult for the Pakistan team to defeat India in India. “Though the morale of the Indian team has downed a little bit after losing the first match, but I pray may the Pakistan team break the sequence of losing at the hands of India in the World Cup,” he said. The 92 World Cup hero said that for Pakistan, Amir and Irfan while Kohli and Dhoni for India are big weapons . He said that he would give tips to Shahid Afridi tomorrow.